Age 62, of Camden, Ohio passed from this life on Thursday, October 4, 2018. 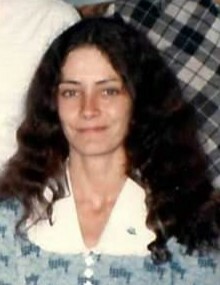 She was born on January 31, 1956 at Mercy Hospital in Hamilton, Ohio to the late Ervin and Marie (Dillon) Moore. Phyllis was preceded in death by her parents; 3 sisters, Ethel, Janet, and Pam; 4 brothers, Ervin, Craig, Charles, and David. She leaves behind her daughter, Cheryl (Josh) Guy; son, Chris (Elise) Henson; 5 grandchildren, Austin, Christina, Danica, Cameron, and Katniss; brother, Richard (Debbie) Moore; sister, Melanie Violet; niece, Heather (Reece) Lake; as well as many other nieces and nephews. Phyllis worked at Miami University in Oxford, Ohio for 27 years and retired in 2003. A visitation will be held Tuesday, October 9 from 4-5PM at the BALES’ FUNERAL HOME, Camden. A Memorial Service will begin at 5PM with Pastor Timothy Briscoe officiating. The family will have a reception at Somerville Community Church following the service with food and fellowship. Please bring a covered dish.